Complimentary parking in public lot directly south of restaurant. We are happy to provide food for your outside event. Please call for more details. Yes, I have been many times before. Always great consistent food and lovely atmosphere. Thanks for being a loyal Tsunami customer, Suzanne! Thank you, Liz. We have lots of delicious non-sushi items - be sure to try our Korean Style Boneless Beef Short Ribs on your next visit! It was good, not great but good. The rolls we ordered were unique and delicious - but make sure to try one of their vegetarian rolls they were especially tasty! Unfortunately we live out of town - if we lived here it would be one of our frequent haunts. Really great food, served nicely and tasted delicious. The green tea was especially wonderful. We were seated quickly and it was a nice atmosphere, making it easy to have a conversation across the table. Many options on the menu. Tye servers were friendly. The food was incredible. The prices were appropriate. However, we were given a table on the side of the restaurant where we could see the servers' drink-making and dish-washing station to our left and the street out the window to our right. The fence that ended at the window even allowed us to see where they put their dumpsters and their garbage. Probably the worst table in the restaurant. That table was so bad, I'll probably go out of my way to visit a different Tsunami next time, just to avoid the possibility of getting that table again. Our anniversary was still a special evening and the sushi was incredible, but if I'm spending $75 on dinner, I would hope to be seated at a table with more class and less visibility of the dumpster area. Everything was oerfect, but that table was inexcusable. Tsunami was wonderful, as always! The food & service are always excellent! Our only complaint is that they don't have more room at this location. If you forget to make a reservation on a Friday or Saturday, the wait times can be long. Tsunami is a great restaurant. 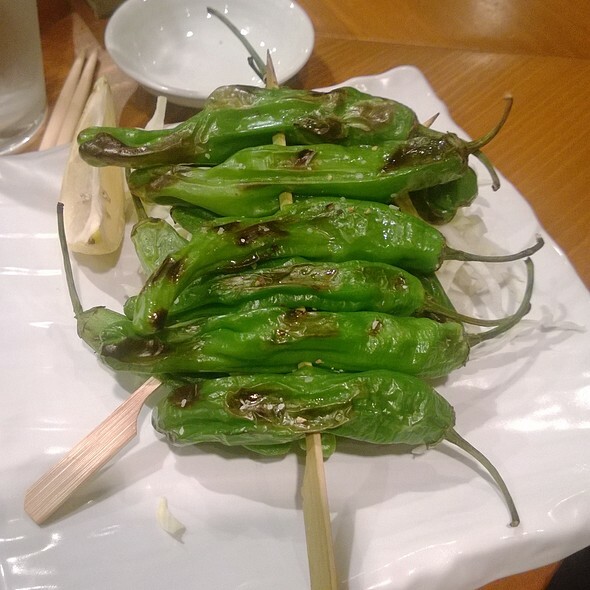 I am particularly picky as I've been exposed to a lot of very good Japanese food. Their gyoza is one of the best I've had, and their fish in their sashimi and sushi is always very fresh. Everything is so delicious! I recommend this restaurant for high quality Japanese food and if you are looking to have dinner somewhere special. Had a girls night here. They have a wide range of roll choices appealing to everything which was nice. 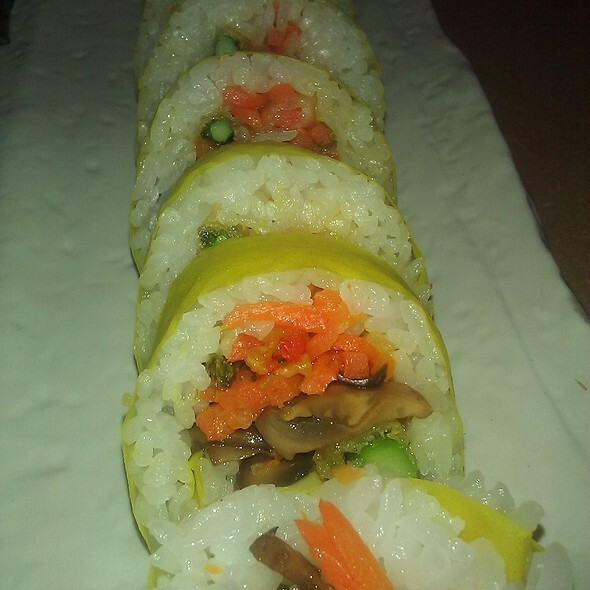 They had quite a few veggie rolls and the dinner combo was a great deal! The prices are right for a higher quality sushi. Would definitely go back! After 21 years of marriage finally got my wife to try sushi ... Tsunami helped permanently convert her. Selfishly I'm excited that my wife will now enjoy eating sushi with me in the future. Tsunami sushi is excellent starting most importantly with the fish. 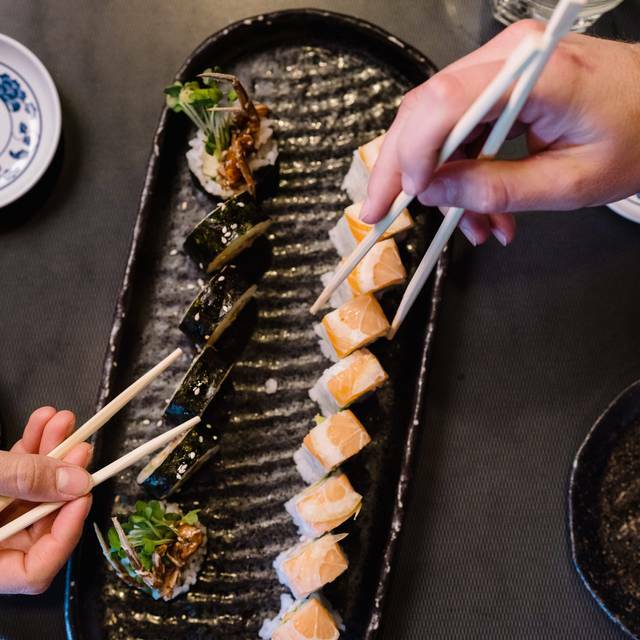 It's a standard when we are craving a little taste of fresh delicious fish and a savory bite of Gyoza! Rolls were generic and the sushi chefs kept complaining about their jobs while we ate, not the best ambiance, so I wasn't too impressed with the place overall. Large variety of unique rolls, and a big veggie selection. Ingredients were very fresh and presentation looked great. Out of town guest was impressed. I have been going to Tsunami since it opened, not as often as I would like, however. The food is always delicious and I'm always satisfied when I leave. I have eaten at Tsunami more times that I can count. I have only ever had one bad experience, and the staff were very apologetic about the issues on that visit. All other visits have been great. The food is great and the staff is great. Everyone is professional and extremely kind and helpful. Especially Salem. She is my favorite waitress. Tsunami is my favorite restaurant, they are on point. The steak and chicken was very good. The server was very nice too. I love Tsunami, so for my sons prom, I thought this would be a lovely place for him to take his date. My son is 16, sometimes not an ideal table for a server. He said the service was excellent like always! They had a wonderful dinner experience. We highly recommend Tsunami 100%. Great service, food and atmosphere! Food was below mediocre, poor;y prepared, overwhelming taste was salt. 3 dishes were not eaten and there was no concern from the server. Advise people to avoid this place. Most of diners were young & more concerned with drinking than eating. Very good food and service as always at this location! Between Christmas and Birthdays I managed to accumulate $100 in Tsunami gift cards. When my girlfriend's dad does are taxes each year we take him (and her mother) to dinner. Yes we took them to Tsunami, yes we had a great time. Service was great, the atmosphere for Friday night was fun. Food was great. I would have gladly gone and paid without the gift cards, but it was sure nice to have them. We have been dinning here for two months. Always great. Food has been always prepared fresh, attractive and with great sauces. We have never been disappointed with our servers. Always our first choice. Book early, it is busy. We have frequented Tsunami for many years for family celebrations. Their food and service are consistently top notch. 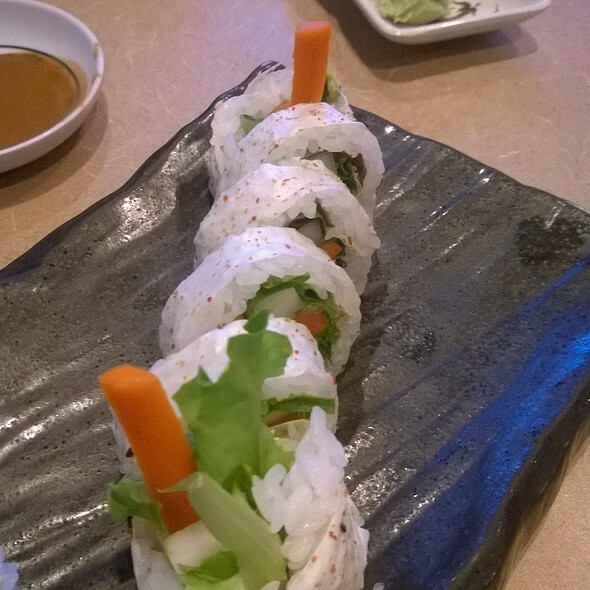 The sushi, rolls and sashimi is always fresh and beautifully prepared. I noticed that they have new tableware that heightens the Japanese feel. Lovely evening. Highly recommend it. If you like fish and sushi you will love Tsunami. Menu is very creative and interesting. 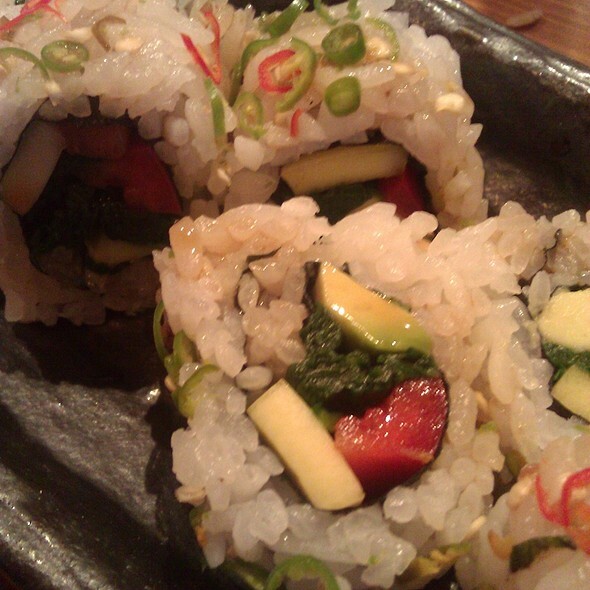 Ask for chef's recommendations but do not order standard rolls, these you will find disappointing. 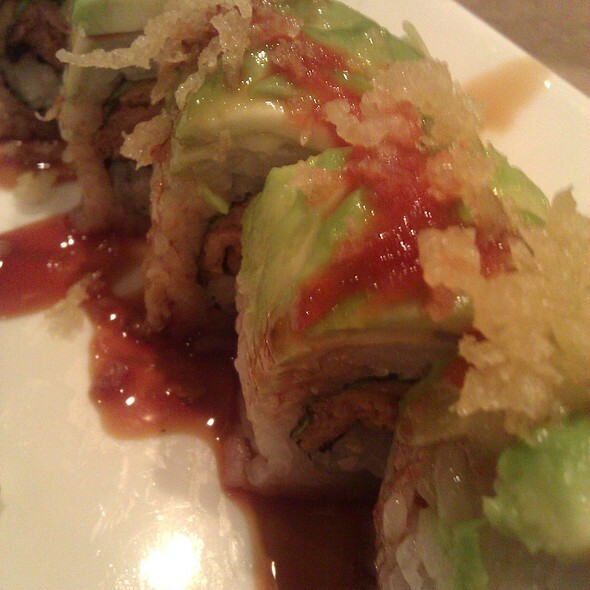 We loved everything but a Spicy tuna roll. It was by far the worst roll I ever had. We arrived early on Valentines weekend to see if our reservation would be ready. They were waiting for a group in our table to leave so they found us seats and gave us drinks. It was extremely busy but both the hostess and manager were extremely hospitable and kind. Even engaging in casual conversation. When the rest of our group arrived, they put us in a quiet corner table and we had a wonderful time with great service, food, and ambience. You could tell the servers were tired but they were so very friendly, speedy, and consistent. The hostess with the gauges should receive a medal for being the nicest hostess we've ever had. The manager (Jake?) was also just a really great guy. Wish we could afford to eat there every day! The food was amazing and the service was quick and polite. I would highly recommend this place over other sushi bars. Very good sushi and the tempura banana dessert is to die for! My wife loves sushi, and I thought it would be a nie meal during our wedding anniversary celebration to go to a sushi restaurant with good reviews. I found this place already had 4.8 stars on some sites and decided to book a reservation. Best Idea I've had all month. The food was timely - we waited only about 2 minutes before pot-stickers were on our table, and the sushi came immediately after, all of it obviously fresh. 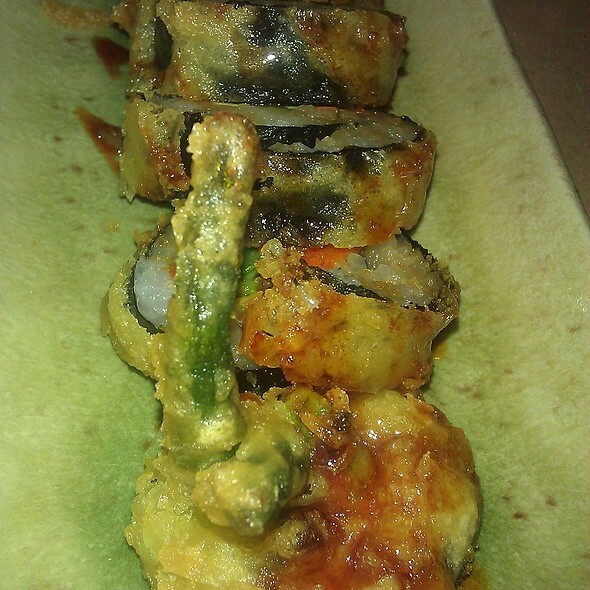 Their happy hour menu was not huge, but the Don Juan Roll was amazingly good. Easily the best sushi I've ever tasted. Hats off to the Chef and management of this fantastic restaurant. You helped make our wedding anniversary a huge success. I will highly recommend this place to all my sushi loving friends. Loved the ahi tuna salad & the sushi - also great that they offered EPIC beers! came here for lunch and there menu is terrific. great service and food. We had an outstanding experience. The wait staff was very helpful. The food was amazing and very satisfying. I love the intimate feeling. Great sushi and a very nice atmosphere. Appetizers were great and sushi was taste and plentiful. Highly recommend. Tsunamis is one of my favorite restaurants. The food is absolutely delicious! A wonderful dinner all the way around, just like always! Can't go wrong with this restaurant. We have been going here since 2003. Never have been let down. 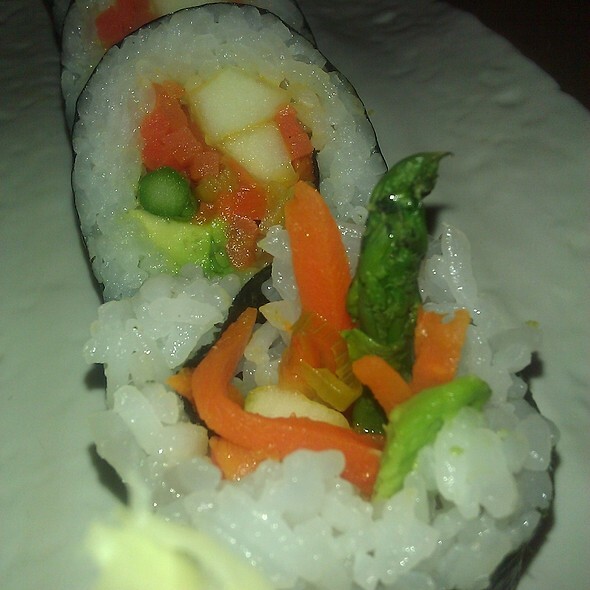 broad menu, helpful prompt staff, top notch service, fabulous sushi, wonderful desserts. Definitely will recommend & return when in Salt Lake City. We love this place! The food is terrific. The service is friendly and helpful without being bothersome. 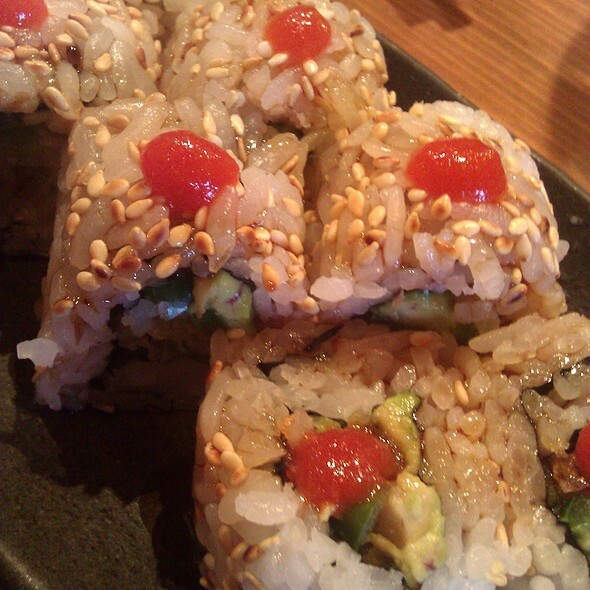 They make my favorite sushi roll of all time, the Sunshine roll, which is the perfect blend of taste and texture. Its sweet, spicy, creamy, and savory flavors and both crunchy and soft textures make it the perfect bite. Tsunami will do any roll with soy paper instead of seaweed which is wonderful for those who love sushi but hate the wrapper. Their fish is always fresh and well cut and their menu creative. The entrees are just as good as the sushi. Our only wish is that they would stop serving fish that are endangered like blue fin tuna.It would be great if they would take all non sustainable species off the menu. We have been to Tsunami several times and it is always wonderful. The food is great, they always have excellent specials as well as a great regular menu. Every server we have had has been wonderful as well. My boyfriend and I enjoy going out on the weekends. When it comes to a restaurant, we don't like waiting very long because often we're on our way to a movie, play, etc. Service was great, and food came out fast. We were in and out so quick, but did not feel at all rushed to do so. Sushi was delicious and fairly price. I have been recommending this location to anyone and everyone! it used to be my favorite Restaurant. I used to go there 1-3 x a week. 1st time bad I thought it was just a fluke. Then I went back another 4 x. Each time the food was worse. My co-diners had the same view. ( soggy tempura , greasy, tuna other fish tasted fishy, and soft shell crab i spit out.